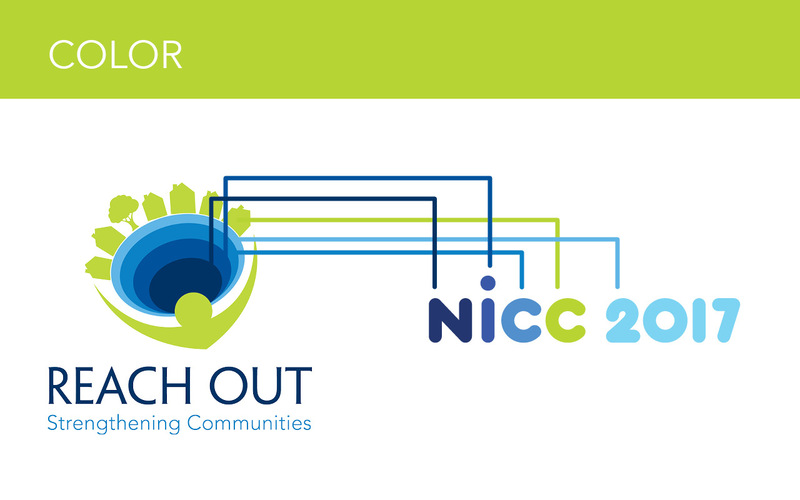 The National Innovative Communities Conference (NICC) is an annual event that brings together community leaders across education, law enforcement, and local government to promote strategies that foster healthy communities. 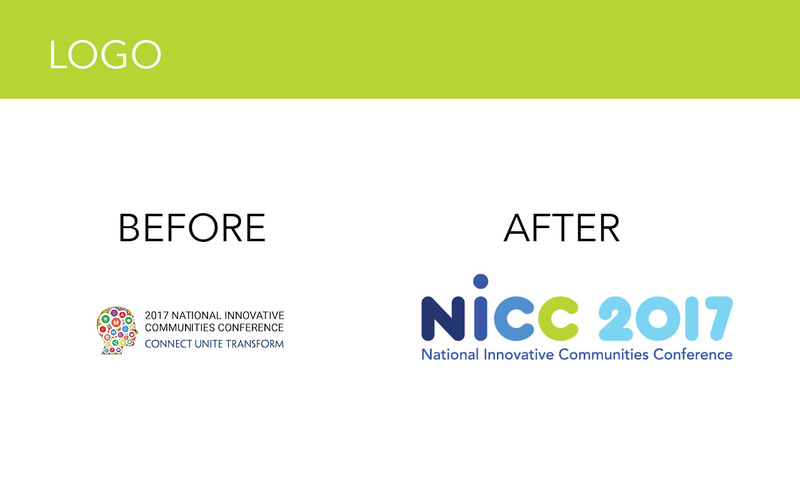 Over the course of 24 hours, I and a team of local designers worked with the organization Reach Out to refresh the NICC identity as part of the 2017 Design For Good Challenge. I was the lead designer for the project, guiding the team by establishing style guides, providing feedback, and designing the logo. After meeting with a representative and reviewing the conference’s past logos, we felt that it was important for the conference’s branding to better reflect the identity of its parent organization. One of the ways we accomplished this was by using the same color palette as the Reach Out identity. I designed the new logo to be adaptable for use every year and scalable for different sizes. The lettering for the logo is custom and features friendly round and thick characters. 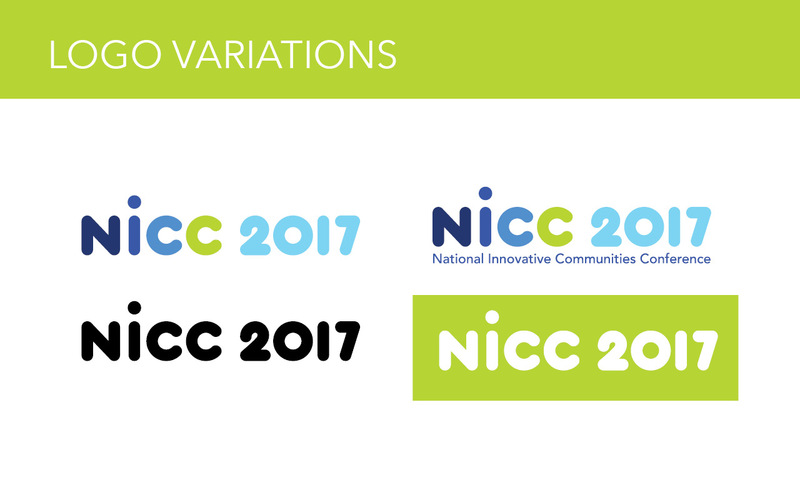 The lowercase “i” in the logo suggests the shape of a person while the colors reflect the diversity among the attending community leaders. The year of the conference sits at the end and can be changed to fit the current year. The website uses the same color scheme as the logo and was reworked for better navigation and a more compelling call to action.